We are continuing on with Jesus as He arrived at Bethany to “wake” Lazarus. Yesterday we looked in as He spoke with Martha. Today we will look at His time with Mary. This encounter is one of the few times we hear of Jesus crying. He is VERY moved by the grief He sees being displayed by Mary. Mary was the more emotional of the two sisters. Martha was the practical one, but Mary led with her heart. After meeting with Jesus privately Martha returns home and tells Mary that Jesus is asking for her. John doesn’t share this detail in His recount of Jesus and Martha’s conversation, but I’ve no reason to doubt Martha’s words. When Martha told Mary that Jesus wanted to see her, she made sure to do it discretely. The Jews who were seeking to stone Jesus a few days ago were some of the very same people consoling Mary. Martha was probably trying to protect Jesus from discovery. Martha had been able to slip away when she went to see Jesus but Mary didn’t even try and disguise her exit. She hopped right up and rushed out to see Jesus. Everyone in the room saw her go charging out and thought she must be going to the tomb to grieve. So to continue to lend their support they followed Mary right to Jesus. When Mary got to Jesus she made the same statement Martha had upon her arrival. Mary’s was different though. The first difference was her position of address. John tells us that Mary fell at Jesus feet. She was in great distress. Was there any anger in her heart over the fact that Jesus hadn’t come when called? Or was she wounded by His absence? What else was mixed in with her grief over losing her brother? Jesus knew the joy that lay just ahead for Mary and Martha, but seeing the depth of their current suffering touched Him deeply. He was moved to tears by their distress. Jesus also knew that this was a part of God’s plan but it didn’t lessen His identification with their pain. Jesus’ pain here reminds me of when I was a child. My mother sometimes repeated something she had heard when she was growing up regarding disciplining a child. The saying was, “This is going to hurt me worse than it hurts you.” I think Jesus was feeling that way about this miracle. He knew it was part of God’s plan and that all would be right in the end, but it pained His heart to put Mary and Martha through the heartache they were experiencing. His heart broke for them. There was an important lesson on the other side of the pain, but watching those He loved suffer through it undid Him that day. The second difference in Mary and Martha’s initial greeting was that Mary didn’t even bring up the future. Martha’s words about Jesus being able to ask anything of the Father proved that she was thinking about what lay ahead. Mary was completely stuck in the moment. Jesus brought Mary back to the future with His words. 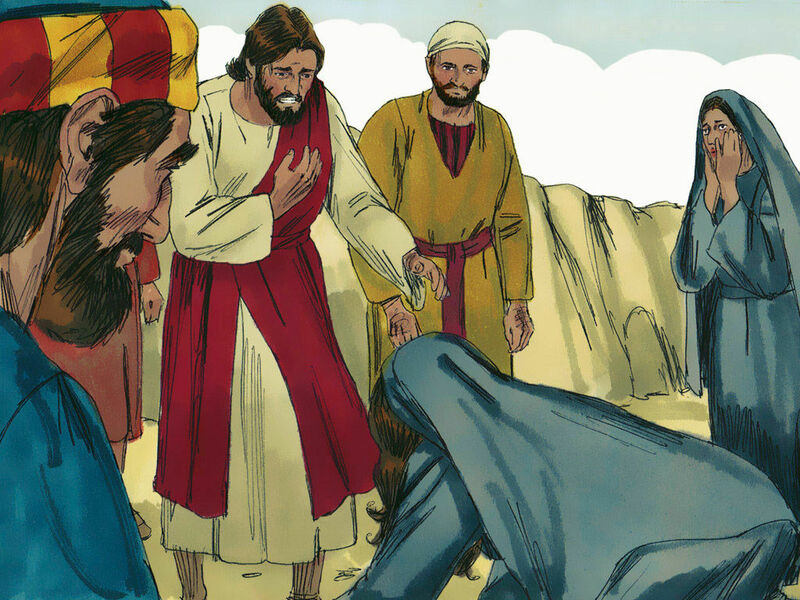 “Where have you laid him?” (verse 34). He gave Mary something to focus on. The Jews that were watching were a fickle group. Jesus could not please them. One minute they are in awe of Jesus compassion and the next they are faulting Him for not coming fast enough to prevent Lazarus’ death. Are they in for a surprise too! God has a plan for each of our lives. There are times of pain and times of joy along the way. He is not immune to our pain. His heart hurts for us when we hurt. He also rejoices with us in our triumphs. You can be certain that His plans, wherever they take you are designed with your best future in mind. “’For I know the plans I have for you,’ declares the Lord, ‘plans to give you hope and a future’” (Jerimiah 29:11). Father God, thank You for Your plan for my life. Thank You that You don’t leave me to walk it alone, but walk with me every step. I know I sidetrack us far too often, but You never give up on me. I am very comforted to know that You feel the pain I’m going through too. You desire the best for me and You designed my path to bring me to it. Thank You again for walking with me; leading me all the way.